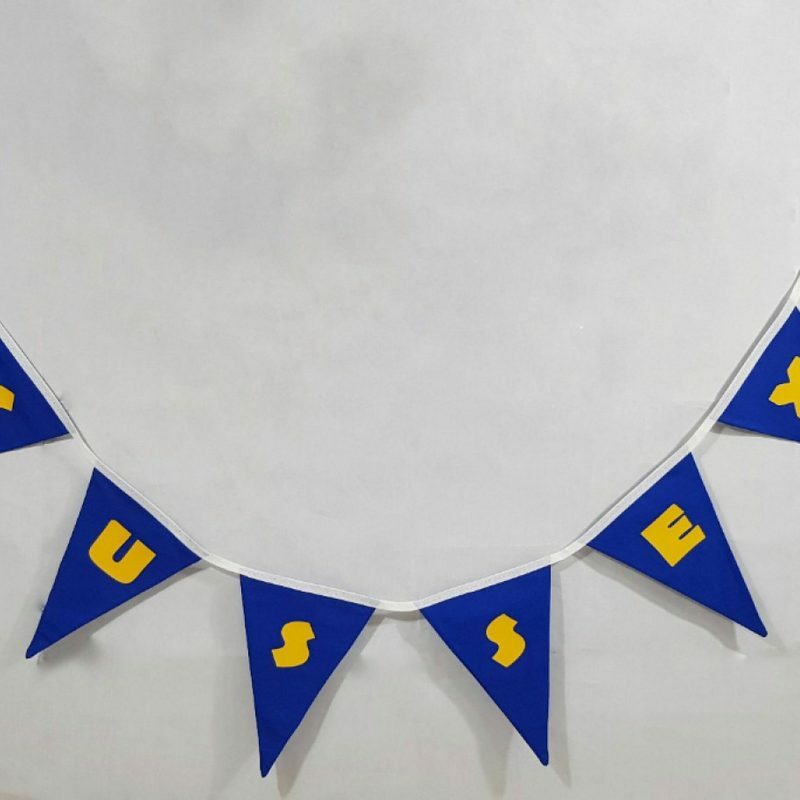 A 2 metre fabric bunting with printed logo. Locally handmade. For indoor use only. 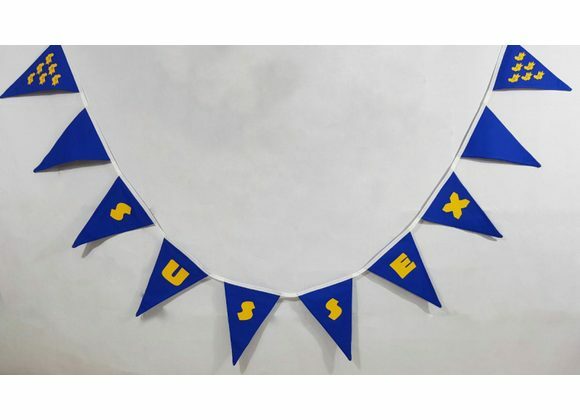 Other lengths are available to order with wording SUSSEX BY THE SEA or SUSSEX WUNT BE DRUV - please contact us for further details. Please allow a minimum of 14 days for production. Every effort will be made to reduce this time.